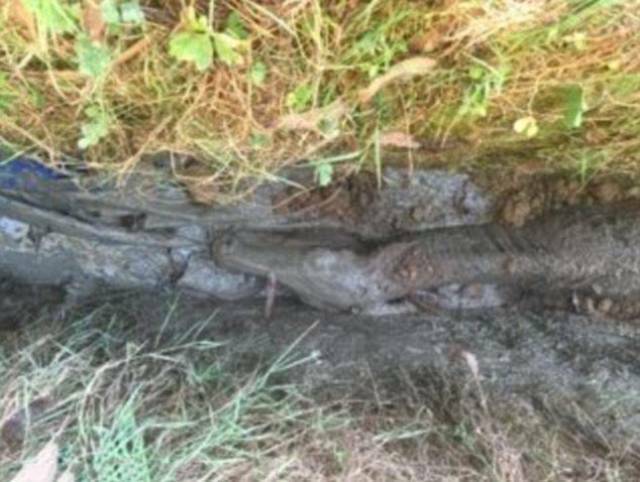 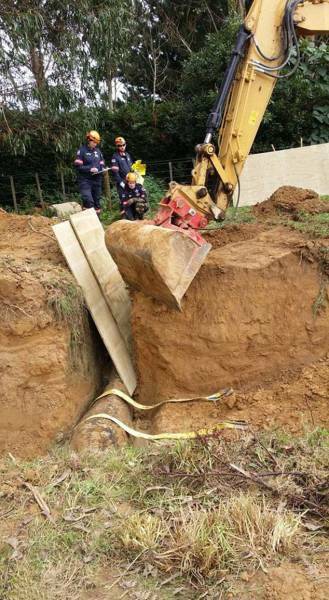 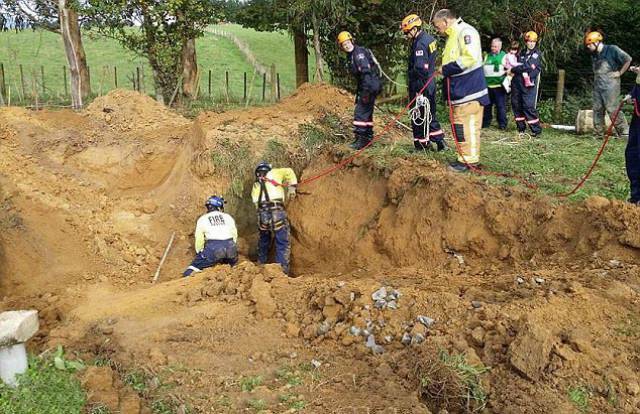 A horse got stuck in a two-meter-deep drain filled with thick mud near Wellington, New-Zealand on Tuesday. 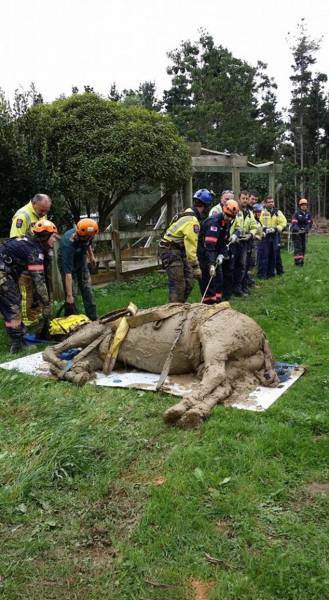 The poor animal could hardly keep his head above the mud and was unable to move when a rescue team arrived. 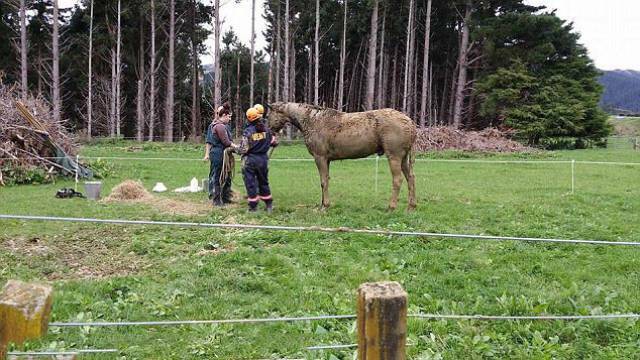 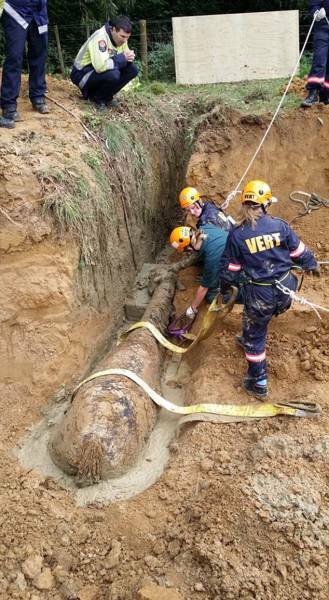 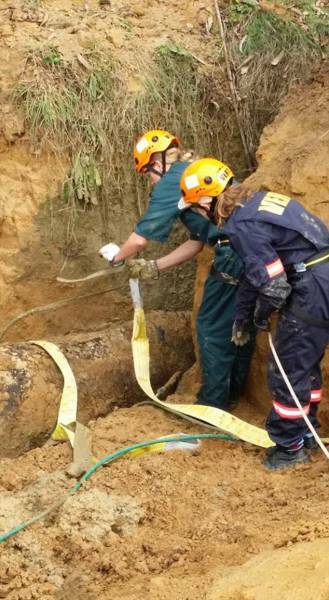 It took the rescuers from Massey University VERT four hours to pull the distressed horse from the drain. 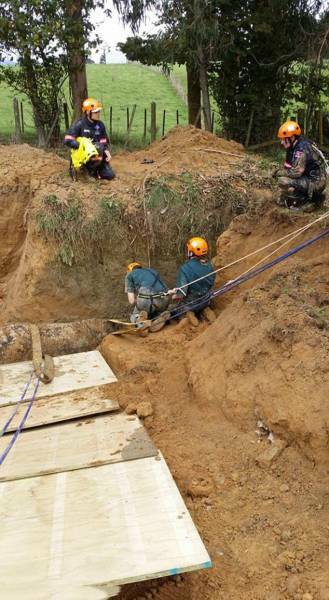 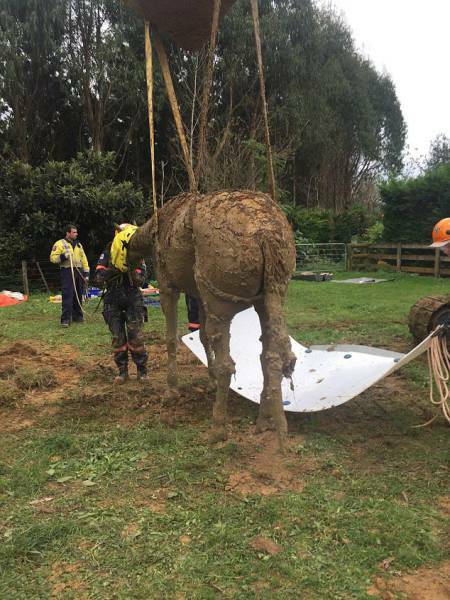 The rescuers put a board under the horse’s head to keep it elevated and out of the mud. 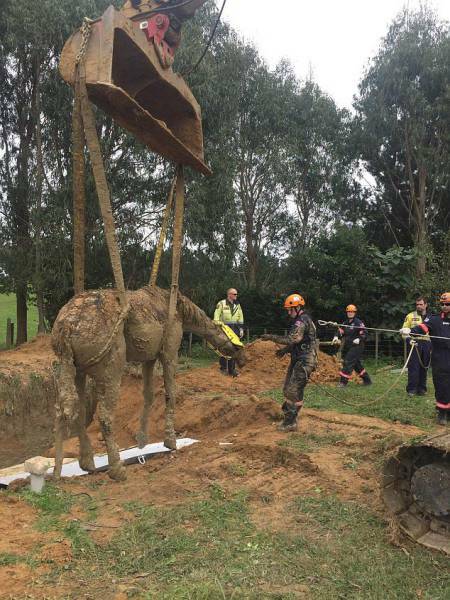 A 12-tonne digger removed the piles of dirt surrounding his chest and back to help him breathe better and a vet got down to anesthetize him. 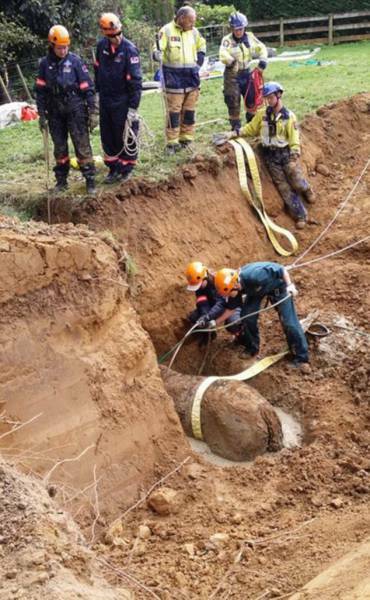 After that the horse could be lifted out vertically of the ditch by the digger.After some time the horse was already standing much to the delight of his owners and everyone who helped rescue him.